A nationally recognized entertainment district and major tourism anchor. The West End, Dallas' true historical district, sets the stage for the story of Dallas when it was first settled in the mid-1800s. Since then, chapters continue to unfold daily along its picturesque streets and buildings. 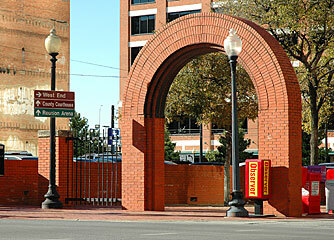 The West End is a nationally recognized entertainment district and major tourism anchor for the City of Dallas, attracting an estimated seven million people annually. What makes the West End unlike any other area of Dallas? It offers visitors a window into the past with beautifully preserved and masterfully renovated historical buildings. The West End also provides a host of recreational opportunities such as retail attractions, fascinating museums, exciting nightlife, and a variety of cultural events. Visitors enjoy all of this in one of the most "happening" neighborhoods in Dallas. There is something for everyone and you'll find it along our tree-lined streets and brick sidewalks.